In Ian Lawson’s recent post, he mentioned Hooke’s work on colours in thin films. In this post, I’ll look at how Newton used his hypotheses on light to build on Hooke’s work in some interesting and important ways. However, he insists that hypotheses should always be removed from the final version of the theory. 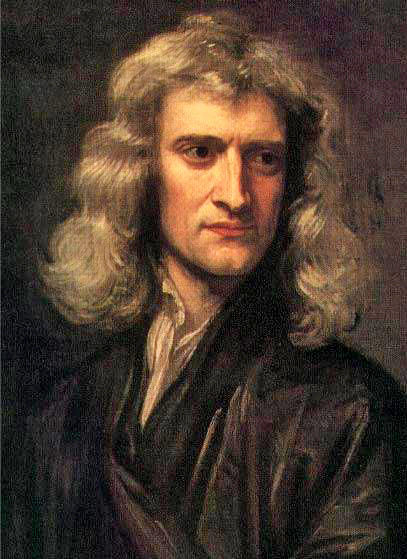 Recall Newton’s claim from his 1672 paper: “I shall not mingle conjectures with certainties”. The rays (or bodies) of which light consists differ from one another physically. Onely whatever Light be, I would suppose, it consists of Successive rayes differing from one another in contingent circumstances, as bignes, forme or vigour… And further I would suppose it divers from the vibrations of the aether. In this paper, there is a notable emphasis on experiment. For example, when Newton discusses hypothesis (1), he gives an account of a new electrical experiment which seems to support his claim. And when he discusses hypothesis (3), he discusses the implications for Boyle’s tadpole experiments. But the most important experiments in this paper are his investigations on the colours that appear between two glass surfaces. Alan Shapiro notes that Newton began these investigations while he was reading Hooke’s Micrographia. But his experiments and mathematical descriptions quickly developed into something well beyond the scope of Hooke’s investigations. Hooke described the colours that appear when two thin sheets of glass are placed one on top of the other. When he made the thin film of air between the two sheets thicker or thinner by pressing the two sheets together with greater or lesser force, the colours changed. He observed that different colours appeared at different thicknesses, but he was unable to quantify this observation as he was unable to measure accurately the thickness of the film at any given point. Newton had the idea of placing a convex lens on top of a flat sheet of glass. 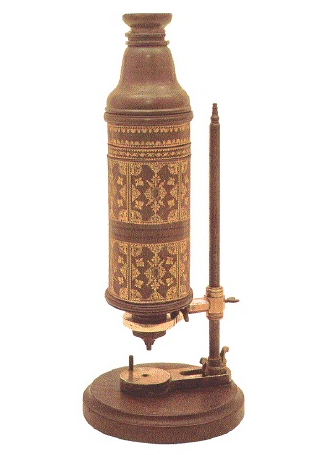 This enabled him to easily calculate the thickness of the film of air, and the colours appeared as a set of concentric coloured circles centred at the point of contact between the two surfaces. These concentric circles are now known as ‘Newton’s Rings’. if the Glasses in this posture be looked upon, there ought to appear at A [the centre], the contact of the Glasses, a black spott, & about that many concentric circles of light & darknesse, the squares of whose semidiameters are to sense in arithmetical progression. Newton’s “Hypothesis” paper provides a good example of his method of hypotheses. He remains carefully detached from his own hypothesis, using it only to ‘illustrate’ his theory and to suggest further experiments. Newton was also careful to keep his hypotheses well separate from his theory; the paper ends with a series of ‘Observations’ that contain no reference to his hypotheses at all! The core of Kirsten Walsh’s paper is a defence of her proposal that Newton’s De Gravitatione was composed after the publication of the new theory of colours (in 1672-3). Kirsten compares the methodology of the optical writings with that of De Grav. and notes that despite the similarity there are significant differences. Yet the methodology of De Grav. is effectively identical to that of the Principia, so is plausibly interpreted as the one preferred by Newton. So Newton would have displayed this methodology in the optical writings, Kirsten concludes, had De Grav. already been composed. Though I am (tentatively) happy with Kirsten’s observation that it is uncontroversial to see Newton’s Principia as deploying the methodology of De Grav., part of the reason for this is surely the fact that the discussion of methodology in De Grav. is so brief, and hardly exemplified in the actual science that Newton so fleetingly displays in his text. The little that we find in De Grav. does indeed seem concordant with much that happens in the Principia, but it is easy – too easy – to find agreement between a pair of texts if one of them is vague enough. Given that the identity between the two methodologies is so important to Kirsten’s case, she needs to find some way of sharpening this step of the argument. She could, for instance, identify far more thoroughly the small differences between the methodology of the optical writings and that of De Grav. If each of these differences could be consistently found in the Principia as well, Kirsten would have a much better case, as long as there were not something about the optical investigations that required the alternative approach. Kirsten notes indeed, that Cohen has suggested that the Principia is primarily a mathematical investigation, but the optical work is overwhelmingly experimental. Cohen seems to be significantly wrong here, for investigations of the context of Newton’s treatment of chromatic aberration show that Newton originally dreamt of creating a mathematical science of colours – until he found that refraction was puzzlingly idiosyncratic, and so unlike the extremely orderly gravitational interaction that provided much of the mathematics of the Principia. But it remains true that the optical work is saturated with experiment, and it could be this that allows an earlier (?) De Grav. to seem more like the Principia. Before our recent symposium, we decided to imitate our early modern heroes by preparing a set of queries or articles of inquiry. They are a list of 20 claims that we are sharing with you below. They summarize what we take to be our main claims and findings so far in our study of early modern experimental philosophy and the genesis of empiricism. After many posts on rather specific points, hopefully our 20 theses will give you an idea of the big picture within which all the topics we blog about fit together, from Baconian natural histories and optical experiments to moral inquiries or long-forgotten historians of philosophy. Most importantly, we’d love to hear your thoughts! Do you find any of our claims unconvincing, inaccurate, or plainly wrong? Do let us know in the comments! Is there some important piece of evidence that you’d like to point our attention to? Please get in touch! Are you working on any of these areas and you’d like to share your thoughts? We’d like to hear from you (our contacts are listed here). Would you like to know more on some of our 20 claims? Please tell us, we might write a post on that (or see if there’s anything hidden in the archives that may satisfy your curiosity). 1. The distinction between experimental and speculative philosophy (ESD) provided the most widespread terms of reference for philosophy from the 1660s until Kant. 2. The ESD emerged in England in the late 1650s, and while a practical/speculative distinction in philosophy can be traced back to Aristotle, the ESD cannot be found in the late Renaissance or the early seventeenth century. 3. 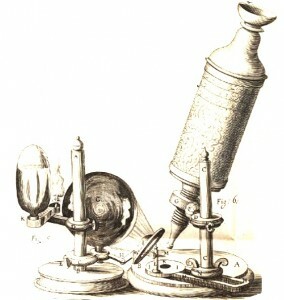 The main way in which the experimental philosophy was practised from the 1660s until the 1690s was according to the Baconian method of natural history. 4. The Baconian method of natural history fell into serious decline in the 1690s and is all but absent in the eighteenth century. The Baconian method of natural history was superseded by an approach to natural philosophy that emulated Newton’s mathematical experimental philosophy. 5. The ESD is operative in Newton’s early optical papers. 6. 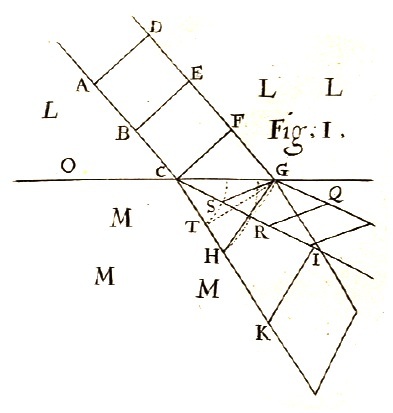 In his early optical papers, Newton’s use of queries represents both a Baconian influence and (conversely) a break with Baconian experimental philosophy. 7. 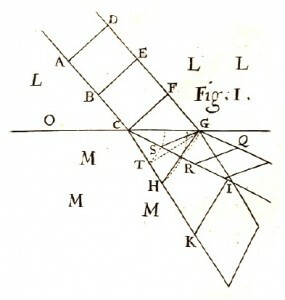 While Newton’s anti-hypothetical stance was typical of Fellows of the early Royal Society and consistent with their methodology, his mathematisation of optics and claims to absolute certainty were not. 9. Unlike natural philosophy, where a Baconian methodology was supplanted by a Newtonian one, moral philosophers borrowed their methods from both traditions. This is revealed in the range of different approaches to moral philosophy in the Scottish Enlightenment, approaches that were all unified under the banner of experimental philosophy. 10. Two distinctive features of the texts on moral philosophy in the Scottish Enlightenment are: first, the appeal to the experimental method; and second, the explicit rejection of conjectures and unfounded hypotheses. 11. Experimental philosophy provided learned societies (like the Aberdeen Philosophical Society and the Philosophical Society of Edinburgh) with an approach to knowledge that placed an emphasis on the practical outcomes of science. 12. The ESD is prominent in the methodological writings of the French philosophes associated with Diderot’s Encyclopédie project, including the writings of Condillac, d’Alembert, Helvétius and Diderot himself. 13. German philosophers in the first decades of the eighteenth century knew the main works of British experimental philosophers, including Boyle, Hooke, other members of the Royal Society, Locke, Newton, and the Newtonians. 14. Christian Wolff emphasized the importance of experiments and placed limitations on the use of hypotheses. Yet unlike British experimental philosophers, Wolff held that data collection and theory building are simultaneous and interdependent and he stressed the importance of a priori principles for natural philosophy. 15. Most German philosophers between 1770 and 1790 regarded themselves as experimental philosophers (in their terms, “observational philosophers”). They regarded experimental philosophy as a tradition initiated by Bacon, extended to the study of the mind by Locke, and developed by Hume and Reid. 16. Friends and foes of Kantian and post-Kantian philosophies in the 1780s and 1790s saw them as examples of speculative philosophy, in competition with the experimental tradition. 17. Kant coined the now-standard epistemological definitions of empiricism and rationalism, but he did not regard them as purely epistemological positions. He saw them as comprehensive philosophical options, with a core rooted in epistemology and philosophy of mind and consequences for natural philosophy, metaphysics, and ethics. 18. Karl Leonhard Reinhold was the first philosopher to outline a schema for the interpretation of early modern philosophy based (a) on the opposition between Lockean empiricism (leading to Humean scepticism) and Leibnizian rationalism, and (b) Kant’s Critical synthesis of empiricism and rationalism. 20. Tennemann’s direct and indirect influence is partially responsible for the popularity of the standard narratives of early modern philosophy based on the conflict between empiricism and rationalism. That’s it for now. Come back next Monday for Gideon Manning‘s comments on the origins of the experimental-speculative distinction. In an earlier post I demonstrated that, in his early optical papers, Newton is working with a clear distinction between theory and hypothesis. Newton takes a strong anti-hypothetical stance, giving theories higher epistemic status than hypotheses. Newton’s corpuscular hypothesis appears to challenge his commitment to this anti-hypothetical position. Today I will discuss a second challenge to this anti-hypotheticalism: Newton’s use of queries. Newton’s queries have often been interpreted as hypotheses-in-disguise. But in his early optical papers, Newton’s queries are not hypotheses. In fact, he is building on the method of queries prescribed by Francis Bacon, for whom assembling queries is a specific step in the acquisition and development of natural philosophical knowledge. Having obtained a theory in this way, one should proceed as follows: (1) specify queries that suggest experiments that will test the theory; and (2) carry out those experiments. “4. Whether the colour of any sort of rays apart may be changed by refraction? While Newton’s method of queries is experimental, it does not appear to be strictly Baconian. For the Baconian-experimental philosopher, queries serve “to provoke and stimulate further inquiry”. Thus, for the Baconian-experimental philosopher, queries are part of the process of discovery. However, for Newton, queries serve to test the theory and to answer criticisms. Thus, they are part of the process of justification. “Meane time since M. Hu[y]gens seems to allow that white is a composition of two colours at least if not of more; give me leave to rejoyn these Quæres. “1. Whether the whiteness of the suns light be compounded of the like colours? In both cases, Newton is using queries to steer the debate towards claims that can be tested and resolved by experiment. On both occasions, Newton devotes a considerable amount of space to discussing the experiments that might determine these queries. These early queries are not hypotheses. Rather, they are empirical questions that may be resolved by experiment. This is not merely a matter of semantics. In the same letter to Hooke, Newton demonstrates this by distinguishing between philosophical queries and hypothetical queries. A philosophical query is one that can be determined by experiment, a hypothetical query cannot. Newton argues that philosophical queries are the only acceptable queries. He equates hypothetical queries with begging the question. In his later work, Newton’s queries become increasingly speculative, suggesting that they function as de facto hypotheses. Does Newton ultimately reject his early ‘method of queries’? Next Monday we’ll have a guest post from Greg Dawes on Galileo and the Experimental Philosophy.